For some it's The Snowman, others It's a Wonderful Life, somebody somewhere chooses Santa Paws 2: The Santa Pups. In our house though, Olive, the Other Reindeer is the TV Christmas treat. It all started when the children were small and getting up at ridiculous o'clock on Christmas Morning. 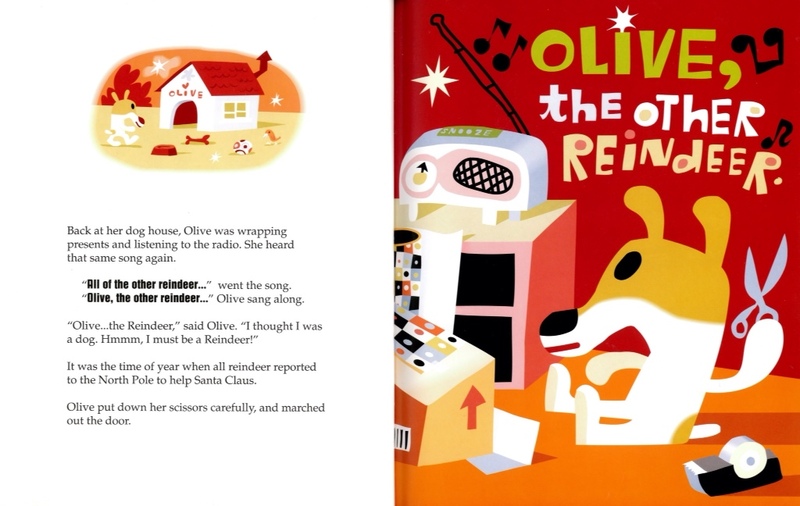 Having weighed through TV specials of Postman Pat and Balamory, patiently waiting for it to be acceptable to start drinking, I flicked on to Channel 4 and discovered the next best thing – Olive. This cultish Chrimbo confection is voiced by a host of hipsterish names including Michael Stipe, much of the Simpsons cast and Drew Barrymore as Olive. 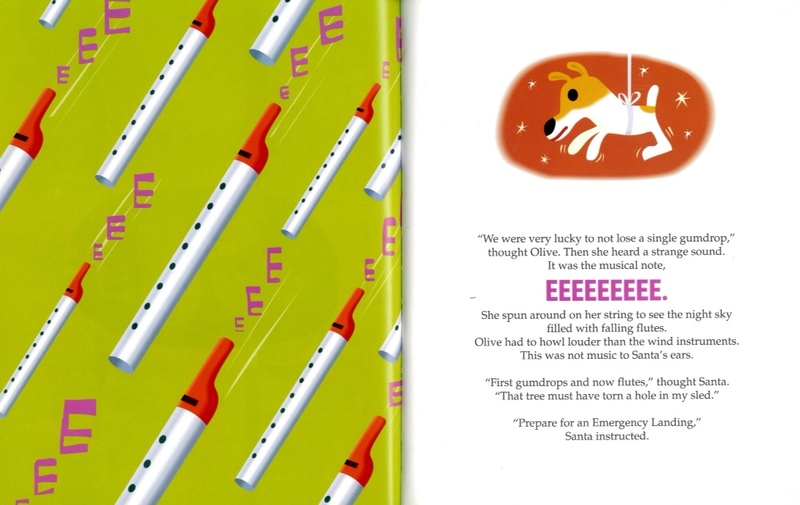 It's based on a book by J. Otto Seibold, and has the same a fabulous premise – a dog who mishears the lyrics to Rudolph the Red Nosed Reindeer. 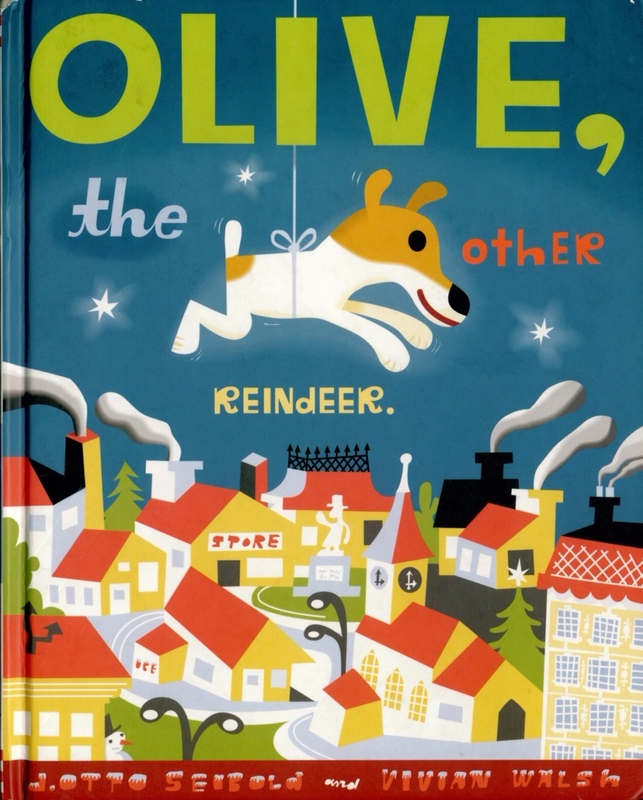 Olive realises her entire life has been a lie, she is not a dog after all but a reindeer and so immediately hops on a bus to the North Pole, arriving just in time to join all of the other reindeer on their annual delivery. She might not be able to fly, but being a dog Olive does have her uses. Her finely tuned hearing sounds out some whistles that have gone flying out of Santa's sack. 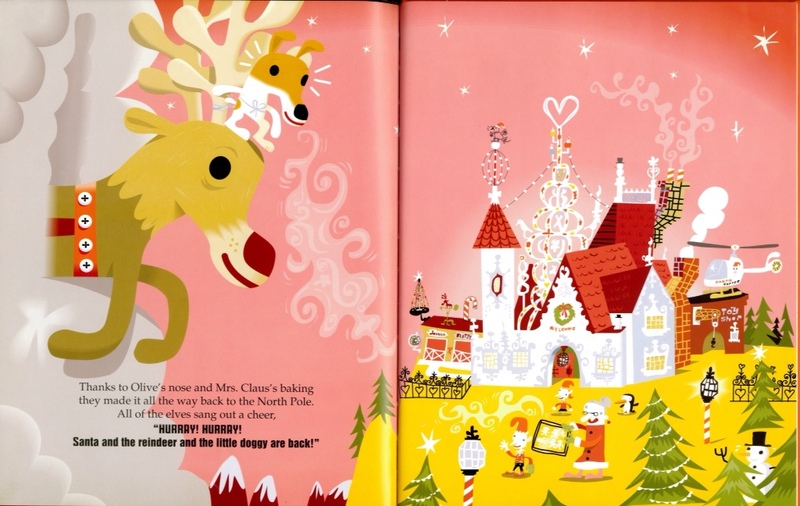 Her nose isn't red, but it helps with the most important part of Christmas – sniffing out Mrs Claus's cookies through the dreaded North Pole fog. J. Otto was born in 1960, a product of the baby boomer generation – and it shows. 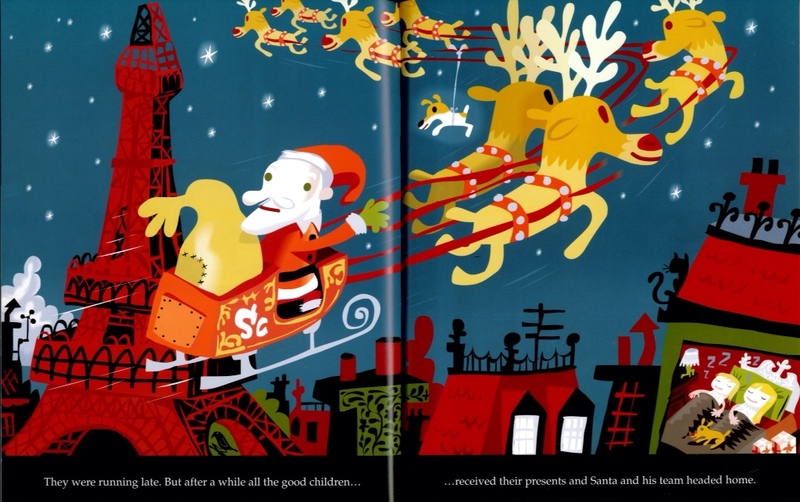 This is a book born straight out of US kids TV and one that feasts on 50s/60s graphic art style. 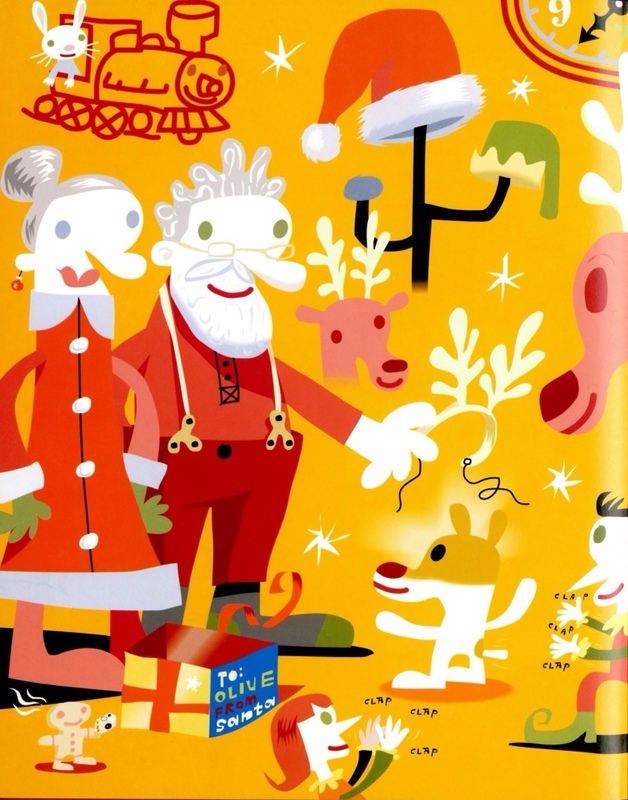 Richard Scarry is there, as is the manic energy of Chuck Jones and there's even a dash of Schultz's laconic poise. Some people might find the book is too American for their delicate Victorian sensibilities. Well they can keep their Morecambe and Wise Christmas specials. This is far more fun. 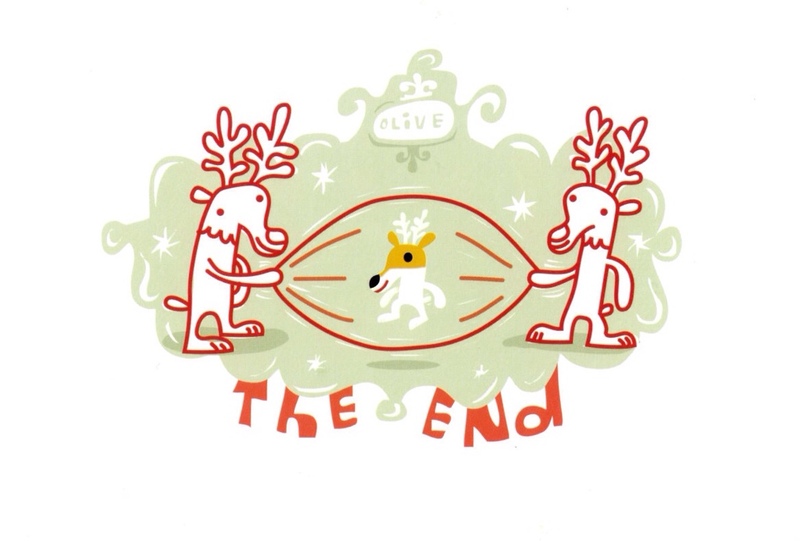 Tags: Drew Barrymore, J. Otto Seibold, Olive the Other Reindeer, Rudolph. Bookmark the permalink.